Maple wood. 31" x 8" x .5". Made in France. 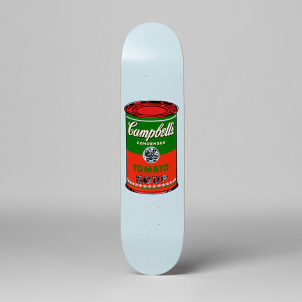 Belgium-based skate aficionados The Skateroom introduce a limited edition hardwood deck featuring Andy Warhol's iconic banana. 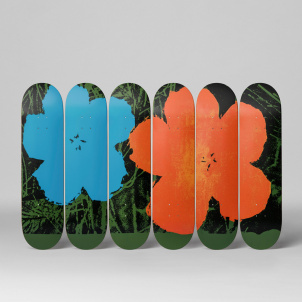 Exclusive to the Whitney Shop, this deck feels equally at home underfoot as it does mounted on a wall as a work of art. Peel back the yellow sticker for a surprise. A portion of each sale supports Skateistan, a non-profit that uses skateboarding and education for youth empowerment in Afghanistan, Cambodia and South Africa.